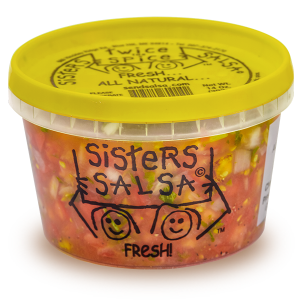 Sisters Salsa is a very healthy food! 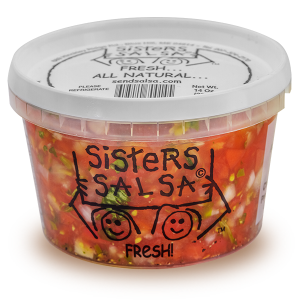 Our fresh salsa is made with tomatoes, onions, fruit juices and CILANTRO! It is preservative-free, cholesterol-free, low in carbohydrates, low in sodium, and low in calories. We could go on and on about the benefits of eating our salsa (lycopene, dodecenal, etc. ), but the best thing about our salsa is the taste. 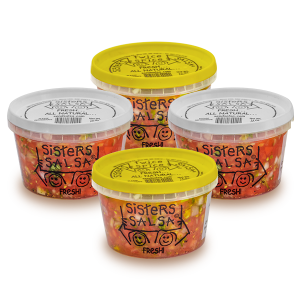 Sisters Salsa comes in two flavors: Original and Twice the Spice. One taste and we guarantee you will be hooked!